NordicTrack E16.7 Elliptical is one of the advanced elliptical of NordicTrack Fitness that has 26 resistance levels and supports upto 40 different workout programs. 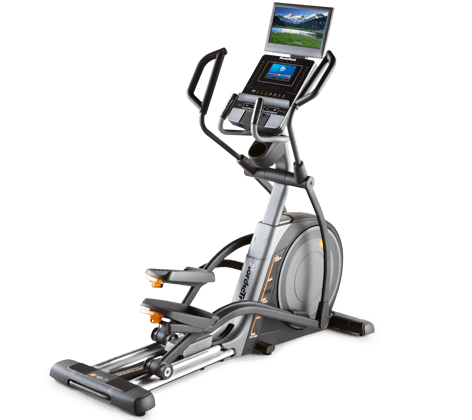 This elliptical has an integrated 15" HDTV, apart from its 10" Web Enabled Color Touchscreen. Beside it has many other attractive features like CardioGrip Heart Rate Monitor, IPod Compatible Audio Port, Snap Assembly etc.